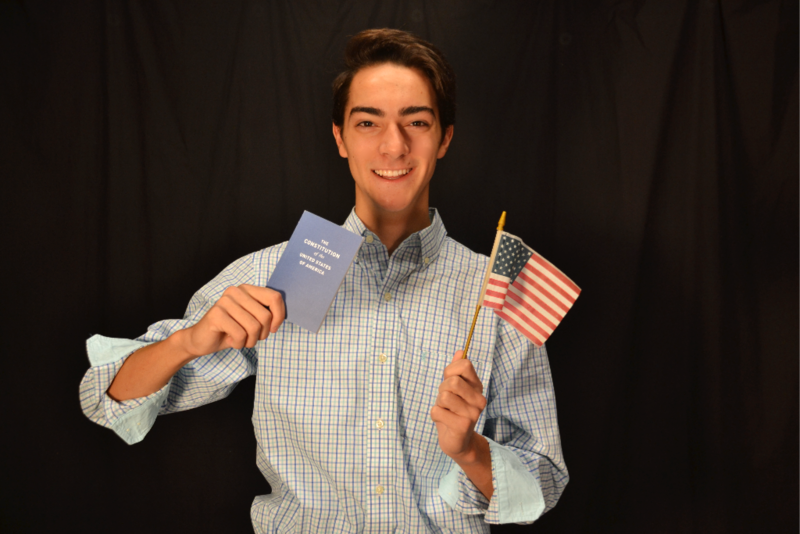 Senior Sokol Delisi has organized a school-wide mock presidential election leading up to the 2016 general election. Using a google form survey created by Delisi, every student will be able to submit their vote for a presidential/vice presidential team. Present on the “ballot” are Republican team Donald Trump and Mike Pence, Democrats Hillary Clinton and Tim Kaine, Libertarians Gary Johnson and William Weld, and Green Party candidates Jill Stein and Ajamu Baraka. One aim of this mock election is to involve students, some of whom will be voting for the first time in this year’s presidential race, and give them a chance to see the impact of their vote on a smaller scale. “I decided to do this for Niles West because I think elections are a very important tool in our democracy, and everyone should get a chance to vote and begin practicing the process of voting at a young age,” Delisi said. Delisi does have some experience organizing mock elections, having done one at his middle school, Lincoln Hall, back in 2012. “This idea came from discussing with friends about having a mock election. Having prior experience with setting up a mock election at my former middle school, Lincoln Hall, I thought I might as well bring that tradition over to Niles West,” he said. The process has been organized so that each grade level (freshmen, sophomores, juniors, and seniors) represent a region of the electorate: Northeast, Midwest, West, or South. Each will control the electoral votes in that area. Seniors will control the region with the most electoral votes, juniors the second most, and so on. So, if the majority of the seniors vote for Trump, he will receive all the electoral votes from their assigned region. Delisi also stressed the importance of young high school and college-aged voters, whose votes and ideologies often differ from their older counterparts. The inclusion of the Libertarian and Green party candidates was also a deliberate move made by Delisi, who strongly believes they deserve representation as well. At Niles West, Delisi predicts a Trump/Pence victory, though he recognizes that may not be representative of the national election. Students will receive their mock election ballot in the form of a Google survey sent through their school emails. Once they fill out their school ID number and grade level, they will be able to select a president and vice president. The mock election will open at 8:10 a.m. on Tuesday, Nov. 8, the same day as the real election. Voting will continue through eighth period, which ends at 2:36 p.m. During ninth period, Delisi will tally the votes, and the winner will be declared at the end of the school day. Nice job, Sokol! I was wondering if you could have asked for optional information on the google forms like gender, race, etc. I think it could have provided some pretty informational graphs. Anyway, as you already know, we have pretty different view points on politics, but it has rarely been an issue. I want to specify something here: gender is just a component that decides the election. Race is equally as important. Since Donald is hardly getting support from the “minorities,” which are majority now, he has pretty good chances of loosing the election, both at school and in the US. With that, FBI gave clean chit to Clinton—no evidence of wrongdoing was found! (Just adding a liberal tone to this article.) Lastly, awesome job brother!